Fiona & David were married at the Sunshine Beach Surf Club on a Friday afternoon a few weeks ago. I knew the day was going to be a good day as these two were quite cruisy from day one - and so it was. With copious amounts of Moet and Bollinger all round (not for me mind!) we had alot of fun and it was lovely to be around two people very much in love and with family and friends to match. I caught up with the boys first at Sunshine Beach before heading to the girls just across the road. 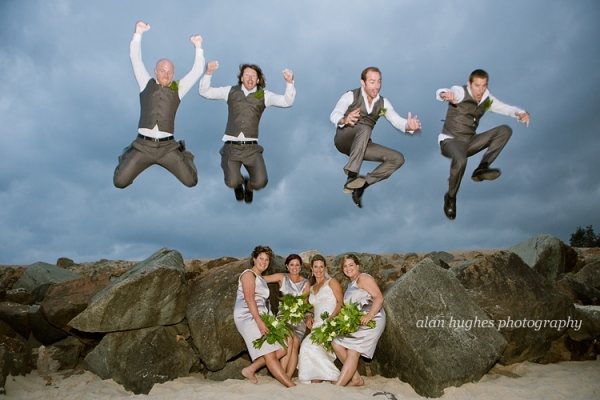 The bridal party photos were all down on Noosa Main Beach with some more Bolly! Celebrant was Suzanne Riley; the day was co-prdinated by Events of Noosa; hair and make-up by Deb from Beauty on the Move and decorating by Splash....and check out the bouquets and those table decoration flowers by Sculpted Leaf. To Fiona & David - thank you for having me along to capture your momentous day and I wish you much continued health and filled happiness!